Benzoyl Peroxide VS Salicylic Acid: Which One Should You Use? Thought acne would disappear once you’d turn 20? Sometimes, it does. Other times, it stays with you long after that. No matter what you do, it stubbornly refuses to leave your face alone. Oh, why can’t you just go away, acne? If it doesn’t get the message alone, you need a bouncer to show it the door (and keep it out). The best candidates for the job? Their CVs say they’re both good at getting rid of acne. But, they have slightly different skills and do the job in different ways. Which one gets the job depends on your specific needs. Will your skin react better to Benzoyl Peroxide or Salicylic Acid? Let’s find out! Why Is Good At Treating Acne? Benzoyl Peroxide is one of the most effective acne treatments available. Fact. It works thanks to its peeling action: it exfoliates skin, getting rid both of the dead cells on its surface, and the dirt and sebum that’s clogging your pores. Once all that crap is out of the way, your pores never get clogged up enough to erupt in breakouts. Plus, P.Acnes. the bacteria that causes acne, feeds on these dead cells. The fewer it has to eat, the weaker its gets. Talking about bacteria, Benzoyl Peroxide can reach P. Acnes even when it’s hiding deep into your pores and kill it. The best part? Unlike with antibiotics, there’s no risk of bacterial resistance. It won’t stop working in a year or two. Yes, all the most powerful skincare ingredients do. It’s the other side of the coin, I guess. That’s why you should use small doses (2.5% is more than enough) only on the areas affected by acne. This is definitely not something you want to slather all over your face, trust me! Paula’s Choice Clear Regular Strength Daily Skin Clearing Treatment with 2.5% Benzoyl Peroxide ($18.00): available at Dermstore and Paula’s Choice. Proactive & Proactiv+ Pore Targeting Treatment ($42.00): available at Sephora and Ulta. Why Is It Good At Treating Acne? Salicylic acid, a.k.a BHA (Beta Hydroxy Acid), is an exfoliating acid derived from the bark of the willow tree. Like benzoyl peroxide, salicylic acid exfoliates skin too: it unclogs the pores and gets rid of the dull, dead skin cells that accumulate on its surface. This starves P.Acne and prevents breakouts. Benzoyl Peroxide also has anti-bacterial properties that soothe irritations and reduce redness. BUT, its antibacterial properties are weak. In other words, it’s not a good bacterial killer like Benzoyl Peroxide. Yep. Let’s be clear: Salicylic Acid is a lot gentler than benzoyl peroxide, BUT it can still cause some mild dryness. If that happens to you, cut back and use it only three times a week or so. The Bottom Line: which one is better? Salicylic acid is better for prevention, benzoyl peroxide for cure. 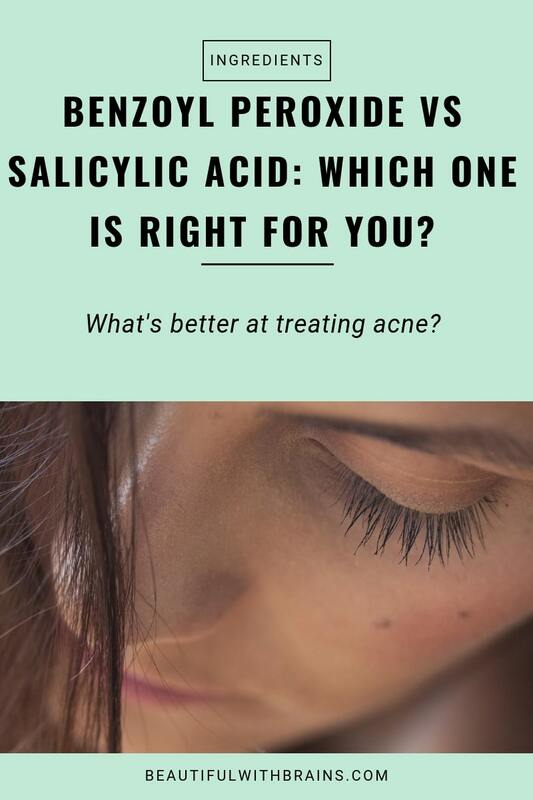 Start with salicylic acid and, if your acne’s really stubborn, upgrade to benzoyl peroxide (if you have sensitive skin, you may want to stick to benzoyl peroxide anyway). Do you use products with benzoyl peroxide or salicylic acid to treat your acne? Share your experience in the comments below. I was using a BP in the morning and SA at night for about 2 weeks. But I recently realised my pimples will be very ‘dried out’. And ended up skin looking reddened after the end of the day. After reading your comments and views, should I switch the usage to SA in the morning and BP at night instead? Or omit out BP? Thanks. Rachelle, to me it sounds like this combination is too strong for your skin. I’d use either only SA or only BP, whichever one you think works best for you. I just wanna suggest rachelle that in my past experience with both Bp and sa, using both at the same time will definetely be beneficial tho too strong for her skin right now, so I really really recommend her to switch them around because bp needs more time at night to work since it needs to penetrate more deeply inside the pores to kill bacterias than just exfoliating the skin. and also starting from using both ess frequently then gradually increase the usage will fix her dryness problem. I fought the acne battle for nearly a decade before I finally found the combination that works for me: Clearasil face wash (with salicylic acid) followed by 5% benzoyl peroxide gel, morning & night. I have quite oily skin. Cleared up my acne within two weeks and I now have only a very occasional break-out. I also take flax seed oil capsules twice daily which has also made a big difference. Steven, thank you for sharing your experience. I’m glad you’ve found a skincare routine that works so well for you. Although Salicylic Acid works, you must be very careful! I am a licensed professional and I received a few minor burns from overlapping so be very careful not to repeat my mistake. Its quite a strong product! The Citrus Clear Grapefruit Spot Treatment did exactly what it was it was designed to do. 1 week after my 1st treatment, I was free of several stubborn blemishes that have plagued me for months. Prior to me purchasing this treatment, I had 2 treatments at my dermatologist’s office that did not produce the same results for 90 bucks each. I recommend Citrus Clear but only if you apply with caution! BruceW, I agree that Salicylic Acid must be used with caution. It’s an exfoliant, so if you use too much product, or too often, it may do more harm than good. But used properly, it can be very beneficial. I’m glad the Citrus Cleat Treatment works for you, and thank you for sharing your experience. Both work alright, as long as you are using other unclog pore products! Ml, what do you mean for unclog pore products? I wouldn’t really use other exfoliants with them or it may be too much for the skin. Hello? I have an combination skin its normal and very oily on T zones. I have few acne MARKS , NOT ACNE just the marks. I use neutrogena facewash and st.ives calligen lotion afterwards. How can i get rid of my acne MARKS? Please tell me i just have few marks on cheeks. Somasam, I’m sorry to hear about your problem, but could you be more precise and describe what those marks look like, please? Acne marks is a very generic term and I want to be sure I recommend a suitable treatment. The marks i have are from previous pimple scars they are flat brownish color spots on my cheeks, it is NOT deep holes or anything like that. I never had acne only got pimples at times so they are just marks from there. I only have those marks on my right cheeks and i sometimes get pimples here and there, i have a warm undertone. I am 21 year old Asian girl. Also my nose, forehead and chin is very oily i try to clean it with clear-sonic mia brush and it is working good. BUT my biggest problem is some pimples that i get they are small tiny pimples nothing like those big ones (THE pimples usually have those white puss inside) and then they leave brownish marks afterwards even thu i don’t tuch them. I have recently started using Ambi Skin Discoloration Fade Cream but its been just a day so i don’t know if that will work. Please tell me something that can help me get rid of pimples and those small spots on my cheeks. Thanks for the clarification. I’m not a doctor, just a blogger, so I can only give you my personal opinion, not a medical one. You should consult a doctor just to be sure. But to me, it sounds like you have post-inflammatory hyperpigmentation, which is the red, pink or brown discoloration that’s present after a blemish has healed. If it is so, it will disappear on its own within months, but you can speed up the process by exfoliating skin. I prefer using exfoliants with glycolic acid, but the clearsonic mia should do the job too. Ambi Skin Discoloration Fade Cream, which contains hydroquinone, is another good option. Brenda, I’m glad it works well for you. Thank you for the recommendation. Thank you is Ponds clarant b3 is good for oily skin? Somasam, yes, that’s an ok cream for oily skin. 1. Once the acne has disappeared, do I stop using these harsh products or is it okay to use forever? 2. Apparently, BP should be used with sunscreen. I live in London, UK where we have daylight but not much sun. Do I still need sunscreen? Jada hi. I’m sorry to hear bout your problem. It is possible that, if you stop using these ingredients, your acne will come back. And yes, you need sunscreen. That’s because UVA rays (the type that causes premature aging and contributes to skin cancer) are present from the moment the sun comes up to the moment it comes down, and can pass through clouds and even be reflected on snow. However, you probably won’t have to reapply it often throughout the day, unless you spend hours outdoors. Hi beautifulwithbrains, i have pimples around my check and chin when i read about SA & BP i start using SA2% now about 2 weeks . But my face starts to getting mild acne having pus inside them not much but around 5-7 acne pus around my face. I live in sudan i try to try BP but i cant find those product in sudan khartoum. My question is if salicylic acid get worse at first time use. My 2nd question if SA is not for my skin type how do i know? Thamas, I’m sorry to hear that. Acne accumulates under the skin, and from there it makes its way to its surface. Now SA is an exfoliant, so when it removes the top layers of the skin, it exposes the acne underneath. This purging process can take up to 4 weeks. If after that time you are still experiencing breakouts, then SA may not be the right ingredient for you. Hope this helps. Hi I have lots of pimples on ma chic n chin av try to use no more acne soaps n even azardem cream azelic 20% BT its even becoming worse. Pliz recommend for me something better n how can I get them.am in south Sudan. Gladys, I’m sorry to hear about your problems. I think you should start using an exfoliant with salicylic acid daily, if you aren’t already. That can remove all the gunk that’s accumulated in your pores which will get rid of the pimples and prevent them from returning. Gladys, I’m afraid I don’t know what products are available in South Sudan. Just go to the store and look for serums and exfoliant that list salicylic acid among their ingredients. If you prefer to buy online, check out the Paula’s Choice line. They have several exfoliant with this ingredients and they all work very well. 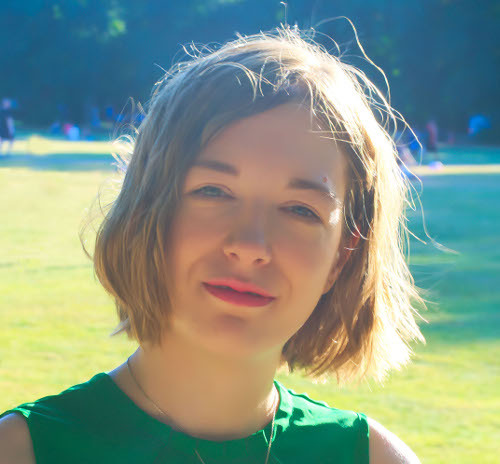 Hi beautifulwithbrains , I used to be in a condition as a severe acne and acne scar , which has lasted for two years so far …. Four months lately , I been using oatmeal to cleanse my face daily and use it as mask along with honey twice a week , and I also use turmeric cream for treating acne scar , but I notice the turmeric slowly damage and even cause much more prone acne than before all over my cheeks , so I rightaway stopped using these natural treatment even though I really have no problems with oatmeal . Since last week , I’ve started using BP for treating prone acne and notice that it really works for me , but on the downside is that I notice the acne scar look a little bit darker than before and that really makes me concern … Should I stop using it and use SA instead , plz help me out 🙁 ! Hoang, do you have dark skin? Because unfortunately both BP and SA can cause hyperpigmentation in darker skintones. If that’s the case, I’d recommend you consult a dermatologist and use one of these ingredients under her medical supervision. First of all , thanks for your replying … I’m asian and actually have quite bright skin , now I’m using proactive plus , which includes pore targeting treatment contains 2.5% BP and complexion perfecting hydrator contains 0.5 SA , I just been using these for two days and notice it really smoothes my skin . I put moisturizers on my face all day , the Cetaphil one use for moisturizer along with SPF 30 + ( like 2 options in one product ) . Do you think oily face like me need using moisturizer all day long just because I put BP on my face for whole day ? By the way , is it possible to just use proactive plus products so as to fade out my acne scars within one month ? I don’t think I have severe acne anymore , which is mild now , but the acne scar quite moderate as a matter of fact …………..
Hoang, that depends. If BP is drying out your skin, you may need to use moisturizer daily. Otherwise, you may be able to skip it and use sunscreen alone. Acne scars take a while to fade. If it works for your skin (the only way to know for sure i to try it), you may use only the proactive products, but you still need to be patient. Hi beautifulbrain , I actually used Vivo Per Lei Exfoliant yesterday , and I just used it once a week , my acne and blemish still there , and yeah I still have freaking breakouts …. I notice that when I exfoliated my skin , and then apply Proactive Plus products I feel so itchy and quite redness appear on my face , I think that due to the purging process of Proactive Plus products ( Benzoyl Peroxide and SA ) … Is it okay ? Will you recommend me stopping using Vivo Per Lei exfoliant or still using it once a week ? Hoang, yes, I would recommend you stop using Vivo Per Lei. SA and BP already exfoliate skin, so there is no need to use another exfoliant. It would only irritate your skin. I wonder whether I can use BHA 2% Liquid Perfecting Exfoliant from Paula’s Choice along with Proactive Plus ? Will you recommend me for this ? Hoang, maybe you can use them on alternate days. Otherwise the combination may be too strong for your skin. This is an older post. But if anyone is reading this I am in my 30s and suffered from painful acne along my jaw. I have been using BP for months and it has 100% cured the acne. My dr recommended it and it works. Not even 1 pimple. Highly recommend giving it a shot. Kate, so glad BP works so well for you! For some people, it really is the best treatment. Thank you for your informative post. I am currently using BP and SA both day and night and currently going through the purging process of the acne. I don’t think my skin is drying or feeling irritated as I put on other products that help with the healing process. I follow up with witch hazel, vitamin c serum in the day, red tea serum/ drunkn elephant night glycolic serum at night, followed by sunscreen/moisturizer. I’m having mixed feelings about my routines and these products, I feel like no matter what I do the acne gets better but then new blemishes arise, but at the same time I’ve done research and many people say to ride it out and wait for the purging to end, which somehow feels endless. Is it safe to be using all these serums/products? Also what are your thoughts on a toner? I like to switch up my serums at times and use rosehip seed oil at night along with Olay’s Night Recovery Gel Moisturizer whenever I need that extra plump. Maybe once a week I’ll use a much gentler cleanser to give my face a break from the strong acids- I’ll use La Mer Foaming Cleanser which feels really nice on my skin. Would you happen to know about a similar more affordable product or over the counter that I can find in the US? A part of me also wants to switch to all Glossier skincare products to see if their line works with me. Thanks for hearing me out, would love to hear your thoughts. Stephanie, how long has the purge been going on? The purging period rarely lasts more than 6 weeks so if it’s been more than, there may be something else that’s bothering you. As a rule, when your skin is inflamed or problematic, it’s best to keep your skincare routine short. I’d stop using witch hazel as it can be drying and Drunk Elephant Glycolic Acid. You’re already using salicylic acid to exfoliate so adding glycolic acid to the mix may be too much. Don’t bother with Glossier. The makeup may be good but their skincare is average. Hi. I hope you’ll read this comment tho a bit late. I have a combination skin and having breakouts right now. I am currently using a low ph cleanser, BHA 4% chemical exfoliant by Cosrx and a moisturizer. I am already on my 6th week of using BHA and my purging is still here but right now its lesser than the first time i used my BHA and I am suffering acbes marks from the breakout. Right now, i have new acnes small and big. Will it be alright if i’ll add BP 5% gel on my routine? How about adding Thayers toner rose petal? Is it good to use Thayers, BHA and BP together? I hope you’ll answer me? Kim, 4% is quite a big concentration so that may have exacerbate the purge even more. I wouldn’t add Thayers to my routine, but I’d just BHA and BP on alternate days and see how that goes. I have combination skin and breakout quite regularly around my chin area and have very enlarged pores and lots of blackheads, and two weeks ago I bought the skin balancing oil reducing collection from Paula’s choice after reading the reviews for reducing blackheads and pore size. My routine is now – the oil reducing cleanser, pore reducing toner with niacinamide in it followed by the 2% BHA liquid morning and night. Ive read a lot that to beat problematic skin a combination of niacinamide and BHA is the best combination, I then also use epiduo (benzoyl peroxide and adapalene) which was prescribed to me on a big breakout I may have. This all seems to be going fine, however is sometimes a bit drying – is it best to leave the bha out of my routine on alternate days if my skin is dry and will my skin build up a tolerance to using all of these products? Also, the day moisturiser that comes with this line – skin balancing ultra sheer daily defence spf 30 really seems to sting my face for about half an hour if I use it after the toner and BHA 2% liquid together. However when I use the night moisturiser that comes with the line I get no sting. Does this mean I should not use the BHA 2% liquid in the morning? Don’t understand why the spf moisturiser is not working well with the exfoliant? G, I hear ya. BHA and Benzoyl Peroxide together can be quite drying. Do you have any active breakouts atm? I recommend using benzoyl peroxide only on areas where you have acne, not on clear skin. If you don’t have any active breakouts, just use BHA and introduce Epiduoe again should acne come back. If you have breakouts atm, then use Epiduo in the morning and BHA at night. Have you tried using the day moisturiser without BHA? There’s nothing in there that should cause a sting so it may be that you’re allergic to something in it. Try it without the BHA and see how it goes (preferably on a small area of skin). If it still stings, ditch it. If it works fine, use BHA only at night.